As you may already know if you have a ticket or if you don’t have a ticket because it sold out so quickly when it went on sale, Divine Fits are playing Beerland. If you missed out, there’s also still hope. Divine Fits has confirmed that it will make its live debut kicking off a trio of shows in the hometowns of members Britt Daniel (Austin, TX on August 1), Dan Boeckner (Montreal, QC on August 3) and Sam Brown (Columbus, OH on August 6). Special golden tickets will be inserted into ten random copies of the “My Love Is Real” single available at select indie retailers in each of these three markets, including Waterloo and End of an Ear in Austin, Used Kids and Magnolia Thunderpussy in Columbus, and participating stores in Montreal which are still TBD. Each golden ticket will admit the winner and a guest to the Divine Fits show in the respective city. For more information on the golden ticket competition, general ticket information and personal notes from each band member to his respective hometown, go to DivineFits.com. “My Love Is Real” is also available digitally as a stand-alone track or as an instant download with pre-orders of Divine Fits’ debut album A Thing Called Divine Fits placed in the Divine Fits store, the Merge store or at iTunes. 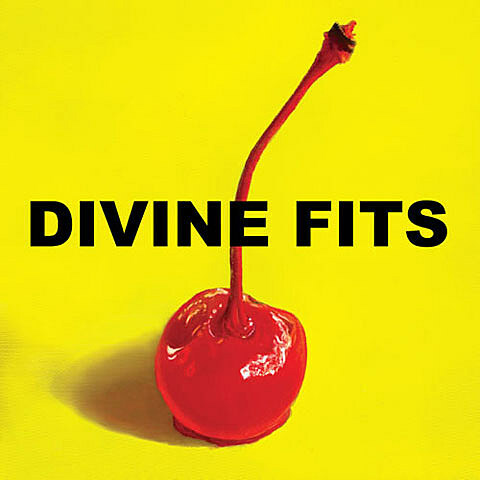 A Thing Called Divine Fits will be released August 28 in the U.S. on Merge Records and on Universal in Canada. The record will be out one day earlier in the UK and Europe via Anti-/Epitaph. Tickets actually went up the same day.